Who remembers Heaton Pool aka Chilli Road Baths? ‘After learning to swim at a very cold open air pool at Hawkey’s Lane in North Shields, it was suggested by our swimming teacher, Mrs Richardson, that my brother Michael, sister Moira and I give competitive swimming a try. So every Thursday evening. we all began to catch the Number 11 yellow ‘custard’ bus to Heaton ASC at Chilli Road Baths. Moira, although a competent swimmer, eventually decided that being competitive was not for her. But Michael and I stuck with it. Dave Smith was our coach and taskmaster. His bark was worse than his bite, although it did not seem like it at the time. Training was hard work (as it should be!). No one had swimming goggles in those days so, after a long session, the chlorine really stung our eyes. On dark evenings the street lights seemed to have blurred haloes of light around them. Any contact with cigarette smoke on the bus made our eyes water. Those of us with fair hair ended up ‘bleached blondes’. The highlight of club night was tucking into fish and chips from Wallace’s on the corner of Benton Road and the Coast Road on the way home. There were many swimming galas throughout Northumberland and Durham and not many people had cars to transport the swimmers. Dave Smith, our coach, ferried us round in a small, green Standard 8 and a handful of parents helped too. 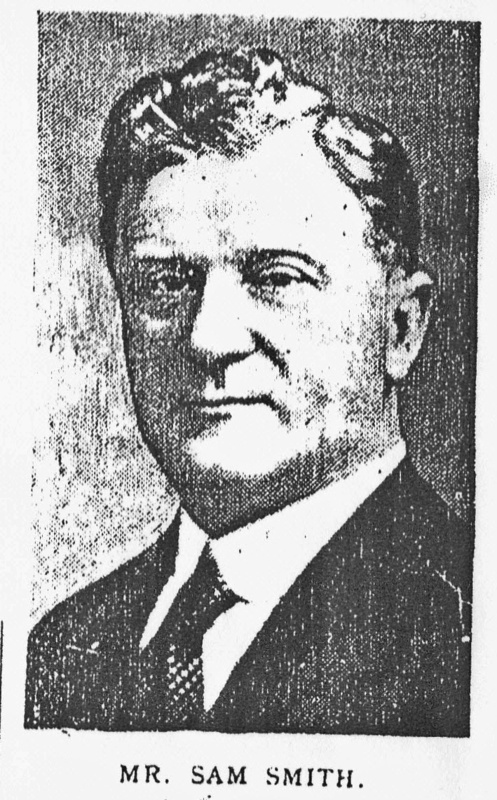 Incidentally, the trophy that every club wanted to win was the Samuel Smith Perpetual Memorial Trophy, donated after the death in 1949 of Sam Smith Senior, founder of Ringtons in Heaton. The Smith family were staunch supporters of swimming locally: there was also a trophy in memory of his son Sam Smith Junior, who had tragically died in a plane crash and Malcolm Smith was Heaton ASC president. In 1966 and 1967, Michael and I, and a few others from Heaton, achieved the qualifying times to enter the National Swimming Championships at Derby Street (salt water baths) in Blackpool. This pool was 55 yards long, 30 yards longer than Heaton Baths. The length was daunting as was the competition! In my 110 yard freestyle heat I found myself on the starting block between English Champion, Bobby Lord, and international, A A Jarvis. Once the starting gun was fired I followed in their wake, finishing over six seconds behind them. It was all to get competition experience rather than have any chance of winning. Staying in a Blackpool B&B with four in a room was quite an experience as well. I once came in second in the Durham Long Course Championship, which was known as the Durham Mile. In 1967, Michael and I, along with several others from Heaton ASC, took part in this event on Elvet waterside along with approximately 90 other foolhardy souls. We changed in Durham City Baths across the road.There were no wetsuits, though the water temperature was a bracing 14 to16 degrees. We gingerly descended the steep, slippery riverbank and lined up in two rows across the river, our feet sinking into the squelchy, muddy riverbed. It seemed to take an age to for the starting pistol to be fired. The course was up to the old bandstand and back with no goggles (we would not have been able to see anything any way!) Apart from the cold water and a mass of flailing arms and legs we had to contend with swimming through floating twigs, teasel and other debris hitting our bodies. Swimming too close to the riverbank meant scooping up handfuls of mud, which would slow you down as well as being unpleasant. The turn at the rope across the river near the bandstand was hazardous as the leading group just swam straight into the stragglers, so a black eye or other bruising was a distinct possibility. The hot shower and baths were most welcome after between thirty and sixty minutes in the Wear. Perhaps unsurprisingly, the event ceased in the early 1970s as the Wear was deemed too polluted. In the early 1970s a proposal was made to replace some of Heaton ASC’s older swimming club cups and plaques. Members and parents were asked if any would be willing to donate new trophies and good friends, Bill Allan of Plessey Terrace and Richard Jacobs of Jesmond and myself clubbed together to purchase a cup. We called it the Andrews, Allan and Jacobs Cup to be presented to the winner of the Senior Mens 200 yards Freestyle event. The first time it was competed for, although not at my peak, I entered the event to see if I could win my own trophy. I believe I was ahead for the first six lengths, but in the final two, I was overtaken by several fitter swimmers. I can’t remember who won the event or who presented the trophy. It may only have been swum for once. City of Newcastle Swimming Club’s first annual swimming gala took place on Saturday 15 December 1973. ‘Incorporating Heaton ASC’ is written in parentheses after the name of the new club. This suggests that the other city clubs had not yet relinquished their identities. Certainly Northumberland ASC, with its long tradition and history, continued for many years. The pool itself had opened in April 1925, designed by prominent London architect, Alfred William Stephens Cross (1858-1932), who specialised in the design of public baths and wrote a book on the subject. Cross was vice president of RIBA (The Royal Institute of British Architects) and president of the Incorporated Association of Architects and Surveyors. Heaton Pool must have been one of his final designs. It cost £42,000. Originally there were ‘slipper baths’ for individual bathing; they were practically covered and shaped like a – yes, you guessed! Remember, few people would have had a bath at home in those days. The communal swimming pool measured 75 feet by 35 feet and contained 65,000 gallons of water. Changing cubicles around the edge of the pool were removed in the 1960s. The pool remained open to the end of the millennium. Generations of Heaton children learnt to swim there and many locals still remember the family sessions with inflatable toys. We are always pleased to receive information, memories and photos relevant to Heaton’s history. Written and researched by Arthur Andrews, with additional research by Chris Jackson. This entry was posted in Research and tagged Alfred William Stephens Cross, architect, Arthur Andrews, Benton Road, Bill Allan, Chillingham Road, chip shop, Coast Road, Heaton Asmateur Swimming Club, Malcolm Smith, Michael Andrews, Moira Andrews, Plessey Terrace, Ringtons, Sam Smith, swimming, Wallace's on July 10, 2017 by oldheaton. If you’re a stickler for cleanliness (or a local historian), you might well know that Domestos originated in Newcastle. You might even remember the factory in the Ouseburn, where it was bottled until the then owners, Lever Brothers, moved production to Warrington in 1973. But perhaps you don’t know that its story began in a Heaton garden shed. Wilfred (sometimes spelt Wilfrid) Augustine Handley was actually born in Essex in 1901 but his parents were both from co Durham and his older sister, Catherine, had been born in Heaton in 1893. By the time his younger sister, Doris Ruby, came along in 1905, the family (father George William, an insurance agent, mother, Dorothy Ann Elizabeth Jane, and older siblings, Robert William, Ruth Primrose , George Ingram Pope and Catherine Violet Beatrice, as well as young Wilfred) had returned to the north east. By 1911, they were living in Gateshead. Father, George, was no longer in insurance. He now worked as a ship’s blacksmith. It’s something of a surprise then to move forward a decade or so and find trade directories listing both Wilfred and his father as dentists. This was around the time (1922) when the right to call yourself a dentist became regulated for the first time in the UK. Certainly there are sources which give Wilfred’s profession as ‘dental mechanic’ rather than ‘dentist‘. At the moment we can’t be sure but Wilfred’s younger brother, Cecil, followed in their footsteps and, like them, practised from the family home at 309 Chillingham Road for many years. An article in the Evening Chronicle on 1 November 1945 states that ‘the Joint War Committee of Dental Associations announces that Captain C Handley, having been released from service of the Army Dental Corps is resuming practice at 309 Chillingham Road, Heaton on 5 November 1945’. Directories list him as a graduate of Kings College University of Durham School of Dental Sciences, which was based in Newcastle. Some local people may remember him: his practice was at the same address on Chillingham Road until the late 1960s. He died at Heddon on the Wall in 1989. Electoral registers show that Wilfred himself resided at 309 Chillingham Road from at least 1922 to 1934 (with the exception of 1932, when they show him living with his sister Catherine and her husband in nearby Portland Road, then part of Heaton ward). In 1935, he was at 152 Simonside Terrace. But it was while living at 309 Chillingham Road that the entrepreneurial Wilfred had his big idea. According to Unilever, which still produces it, Wilfred was a 25 year old dental mechanic when he started to dilute and bottle sodium hypochlorite, a waste product bought from the chemical works, ICI Billingham, in the family’s garden shed. We can only guess that originally he was using the compound to whiten dentures (or even teeth?) but saw its wider potential. In fact, bleach had been around since the eighteenth century when Claude Louis Berthollet produced potassium hypochlorite in his laboratory on the Quai de Javel in Paris. Hence it became known as ‘Eau de Javel‘. A hundred or so years later, in the late nineteenth century, an E S Smith patented the chloralkali process of producing sodium hypochlorite, which then started to be sold as a bleach under a number of brand names. So Wilfred didn’t invent bleach but what he seems to have got right from the beginning was the marketing and distribution of his product. He set up the Hygiene Disinfectant Company and, according to Unilever, in 1929, chose the brand name ‘Domestos’, from the Latin ‘domus’ meaning house and the Greek ‘osteon’ meaning bone, suggesting ‘backbone of the home’. The Handley family tells it a little differently: Wilfred asked his mother what his product should be called. When she enquired what it was for and he replied, ‘Domestic use,‘ the name ‘Domestos’ suggested itself. At first, Domestos was marketed to local housewives and sold in large brown earthenware jars. Perhaps inspired by the success of Ringtons Tea, established in Heaton in 1907, Handley set up a system of home delivery. (Interestingly, the 1939 Register shows Robert E Sturdy, Sam Smith’s trusted sales manager at Ringtons, who we have written about previously, living next door to Cecil in the Handley family home on Chillingham Road). The jars were refilled by door to door salesmen pushing hand carts or riding bicycle carts. The photograph below was supplied by descendants but we don’t know whether it’s Wilfred himself in the picture. It’s certainly a very early picture of door to door Domestos sales, when the Hygiene Disinfectant Company would have been very small. 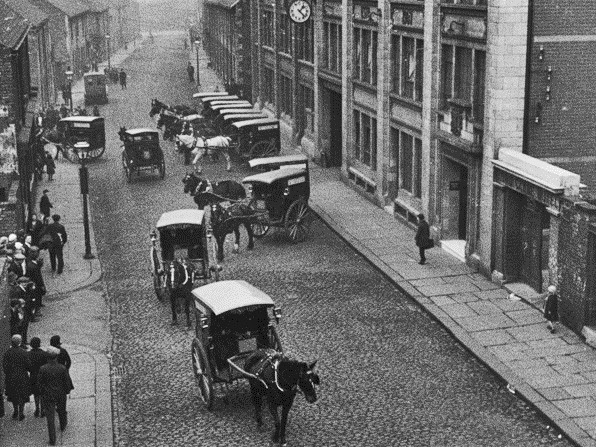 Sales were buoyant enough for production to move to a small factory on the Quayside in 1932 and to expand into a wide range of polishes, disinfectants, shampoos and detergents. By 1933, goods were being shipped south to Hull by sea and, within two years, supply depots had opened in both Hull and Middlesbrough. In 1936, Wilfred married Ivy Isabella Cissie Halliday, the daughter of a Gateshead publican, who was herself born in Walker. She was a typist with the Post Office in Newcastle. The same year the company was renamed ‘Domestos’ after its original and most successful line. Records show the subscribers or directors as both Wilfred and Ivy. In 1938, the company acquired larger premises, the College Works, a former toffee factory on Albion Row, Byker. By now, Domestos was sold in brown glass bottles with specially designed caps that allowed gas to escape. The cost of a bottle in 1938 was 6d with a 1d returnable deposit on the bottle. 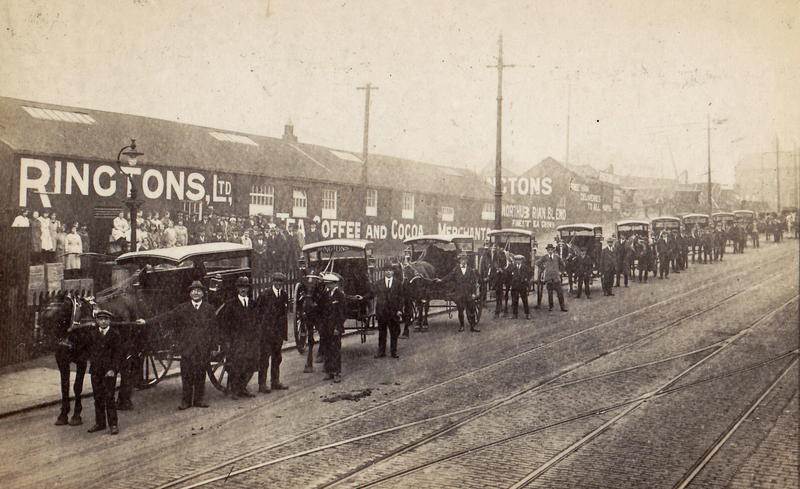 After the war, the company was unable to acquire enough delivery vehicles so, again like Ringtons before them, it bought the St Ann’s Works at Heaton Junction and set up its own coach building division. This was soon renamed Modern Coachcraft Limited and by 1965 had a van sales force of over 150 salesmen. The bleach wasn’t only promoted as a cleaning agent and to ‘sweeten’ drains. It was also used as a cure for sore feet and, during the war, a treatment for burns. By 1952 there was national distribution with offices in London, Manchester, Cardiff, York and Glasgow and a national research laboratory. Stergene (launched in 1948 and specially designed for washing woollens) and Sqezy (launched in 1957, the first washing up liquid to come in a squeezable plastic bottle) were other well known products developed by Handley and his staff. But there were specialist brands too – a variant of Stergene, called Hytox was used in hospitals and garages. And it was now that the slogan ‘Domestos kills all known germs’ was first coined. In 1961, Wilfred sold the brand to Lever Brothers Ltd. The 33 years of success and eventual sale of the company meant that Wilfred found himself a wealthy man. In 1963, he established a charitable foundation, the W A Handley Charity Trust, with a large donation. The charity is still in existence today and gives money to good causes throughout the North East and Cumbria. The charity says that it tries to follow the wishes of its founder and support those who are disadvantaged, young, elderly or disabled; maritime and service causes; education, training and employment; communities; historic and religious buildings, the environment, music and the arts. In the financial year 2015-16, the 100 plus beneficiaries included: Percy Hedley Association, St Oswald’s Hospice, the Lit and Phil, Northern Sinfonia, Shelter, Northumberland Wildlife Trust, Bede’s World and Newcastle Cathedral. Whatever your interests, if you live in the north east, you have good reason to be grateful to Wilfred Handley. 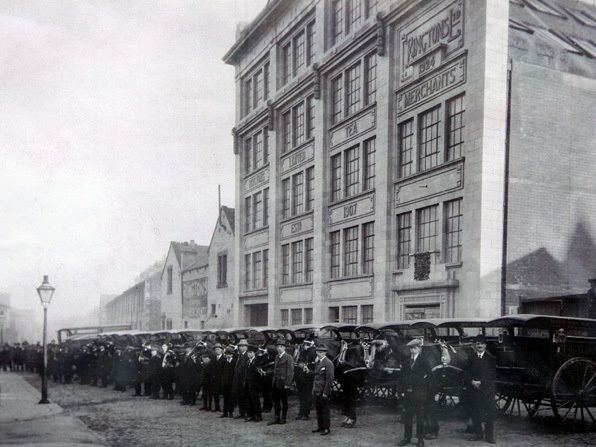 After the sale to Lever Brothers (now Unilever), Newcastle at first continued to be the centre of production. There were by now 800 workers on the College Works site and a £100,000 four storey office building was commissioned. Nevertheless a number of production lines, though not those of Domestos itself, were soon moved to Port Sunlight and Warrington. In the 1970s, the bleach itself went from strength to strength (so to speak). It became thicker, the familiar blue plastic bottle was introduced and perfume was added for the first time. But in 1973, production was moved from Newcastle to Warrington ending Domestos’s long association with Newcastle. This must have greatly saddened Wilfred, who died in Low Fell on 8 May 1975. However, the product first developed in a Heaton garden shed by the young dental mechanic, Wilfred Handley, lives on. It is now sold in 35 countries right across the world. Think about that, as well as the many local good causes it has supported, while you’re whitening your dentures! 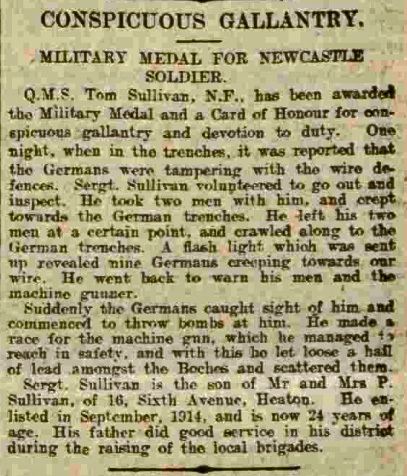 This article was researched and written by Chris Jackson, Heaton History Group. Thank you to Jacob Corbin, Archivist and Records Manager, Unilever; Arthur Andrews, Michael Byrne and Allen Mulliss, Heaton History Group; John Moreels, Photo Memories Organisation; Michael Patten and William Morris, descendants of Wilfred Handley; Lesley Turner, Ouseburn Trust for their help. It’s much appreciated. We are always interested to receive information, memories and photos relevant to Heaton’s history. This entry was posted in Research and tagged Cecil Handley, chemist, Chillingham Road, dentist, Domestos, Hygiene Disinfectant Company, Ouseburn, Portland Road, Ringtons, Robert Ernest Sturdy, Sam Smith, Simonside Terrace, Wilfred Augustine Handley on June 12, 2017 by oldheaton. On Wednesday 27 July, Heaton History Group members are invited to join Mike Greatbatch for a walking tour of Shields Road in which old photos, maps and plans will be used to reveal the colourful history of this busy thoroughfare. Places are limited and so this walk is open to Heaton History Group members only in the first instance and booking is essential. Please book your place by contacting maria@heatonhistorygroup.org / 07443 594154. The walk will start outside St Silas Church at 7.30pm and finish at the East End Library and Pool. This entry was posted in Group Activites and tagged Beavans, Heaton Park Road, Ringtons, Robert Mains, Shields Road on April 26, 2016 by oldheaton. Ringtons is one of Heaton’s most long established family firms. 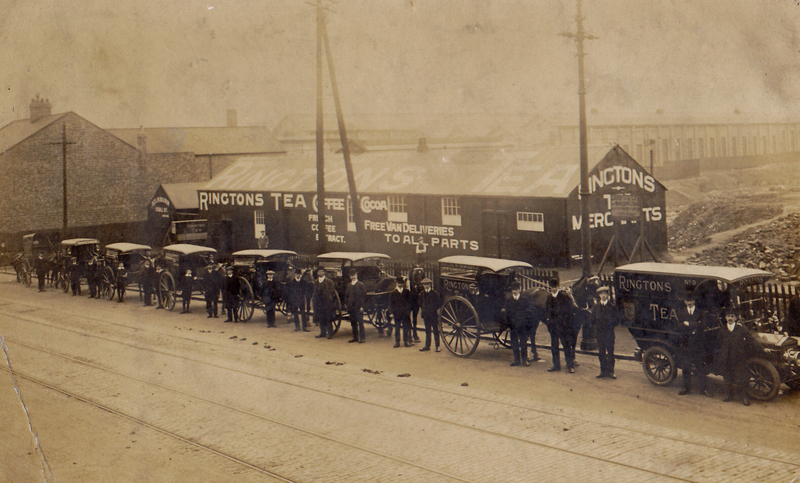 The tea company was founded by Sam Smith and Will Titterington in Heaton’s Avenues in 1907 before moving to Shields Road and then, in 1928, to a magnificent new building on Algernon Road, which still stands today, with Ringtons’ head office now next door. 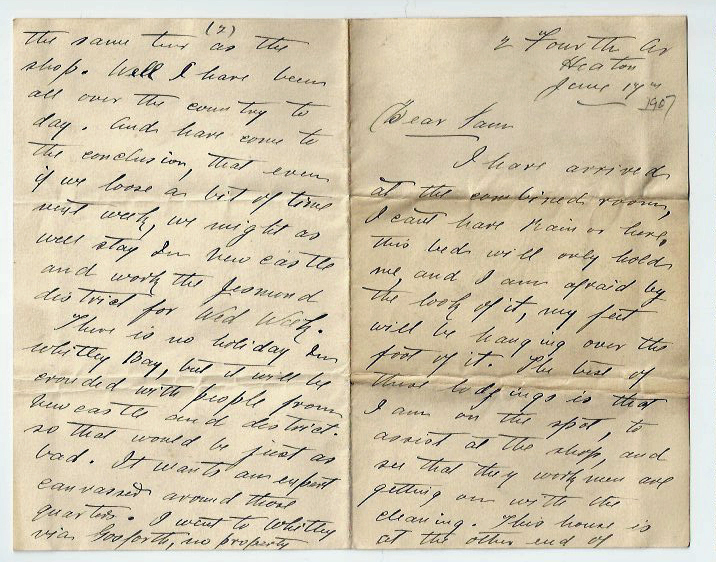 Fiona Harrison, Sam Smith’s great granddaughter, has been helping to organise the company and family archives. On 27 April, she will show us some fantastic photos and tell us how the firm came to be founded and take us through its history up to the present day. Fiona has already supplied us with photographs and information about Ringtons’ early history for our article ‘S in Ringtons, Tea in Heaton’ and the display, still up in The Chillingham pub, for our ‘Heaton Avenues in WW1’ project. But her talk will tell the fascinating story of Ringtons from the birth of Sam Smith, the founder, to the present day. The talk will take place at The Corner House, Heaton Road, NE6 5RP on Wednesday 27 April 2016 at 7.30pm and is FREE to Heaton History Group members. Non-members pay £2. The doors open at 7.00pm. You are advised to take your seat by 7.15pm. Please book your place by contacting maria@heatonhistorygroup.org / 07443 594154. Booking is open to Heaton History Group members only until Wednesday 10 February. This entry was posted in Events and tagged Algernon Road, Ringtons, Sam Smith on January 24, 2016 by oldheaton.